MY NAME IS SARAH. 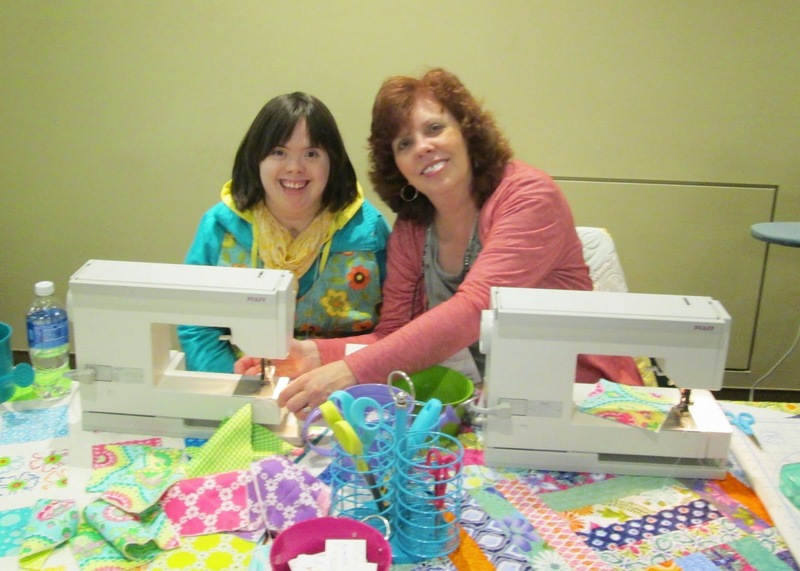 I am a quilt designer and the sewcial director of Sarah's Sewcial Lounge. 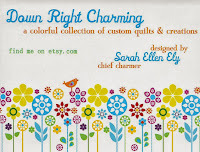 I also have a business called Down Right Charming. I sell my quilts mostly on etsy and I make pillowcases to donate to patients in the hospital in memory of my friend Kristen Kirton. 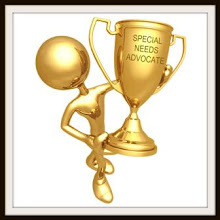 I am a young adult living with Down syndrome. I hope you enjoy reading about my life journey. It's me. Sarah. I am trying to catch up. It has been a hectic summer. We have to move our quilt shop, so my mom and I have been looking at sooooo many buildings. This one does have freedom accessible parking. That is good. I think we like this space. It is sorta far from our house though. I met a new friend. She doesn't live too far from us. Once we get moved into our new space she might come sew with me. It's the fourth of July. We hope to see some fireworks from my grandparent's driveway. Do you see that extra chair? It is for our snacks. We have to have snacks if we are going to watch the fireworks. Right? We saw a few, but they were not too close. Next year we will go exploring. Back to this property on Richmond Road. This is Chuck. He is going to give us a tour. This side is finished. This side isn't. Hmm...that could be a problem. I brought Grandma & Grandpa to see it too. Then we had dinner at Jimmy Johns. It is right next door. We had fun. On the 16th, we took off for Indianapolis for the National Down Syndrome Convention. You can read more about that here. I had a rough time on the last day. I could not breath, so we came home. But now I am feeling better. Nope not so fast. I can't breath again. So guess where I am now? In the emergency room. My pulse ox is 93. Not as bad as my mom thought it would be. They took me back to a room and started checking me out. Then they gave me a breathing treatment with a new medicine in it. Haaa...look at this. My mom took my picture for me on my ipad and then she took a picture of me looking at myself while I am laying here. Silly us. "You want to do a chest x-ray? OK. I like those. Say what? You need to take blood? No way. I am not going to allow it. Dad...Take. Me. Home. My mom said this is the first time in the history of me that we have come to the ER and they let us go home a few hours later. They gave us some of the new medicine to take with us. It is suppose to help dry up the asthma mucus. Plus my parents know just what to do if I am in trouble. A few days later, I was feeling much better. So I tried on this new dress. I am going to have my picture taken soon for my birthday. It is pizza night at Cutters Creek. Grandpa loves this pizza because we all get to put our own toppings on. I like cheese the best. Grandpa does pepperoni and grandma likes mushrooms. Surprise!! We have a new home. This will soon become my sewcial lounge. How cool is that!!! The part down there will be where the cutting counter goes. And this is where all the fabric will be. Do you know where I am now? In my little brother's man cave in the basement. I never come down here but there is a tornado warning so I had to. It is the only place to be safe. Matt did not even know it was going on because he was playing a game with his headphones on. Today is my Grandparent's 57th wedding anniversary. Ahh...this is a really good picture of me with my Grandma. My mom is here. She usually does not sit out here with us. She is too busy right now. Hello TJ. I am talking to my big brother on Facetime. I can see him and he can see me. Well it is time for bed. See ya later. Hi everybody. I am so excited. We are heading to the National Down Syndrome Convention in Indianapolis, Indiana. I thought it would be fun to do a post as we go. So keep checking back because I will be adding pics here all week. My mom and I have been working on the set up for our display in the spare room at the store for a few days. We think we have everything we need. Then my mom takes a picture so we can recreate it when we get to Indy. Then we get it all packed into these green bags. Next my little brother brought his car over and we packed it up. Do you see my sewing machines? We were a little worried whether our grid frames would fit, but they slid into his back seat perfectly. Then we packed lots of quilts in front of them so they would not fall over. We are just about ready to go. We are leaving at 9:00 at night so we don't have too much traffic. How do you like our haircuts? I said, "Marci, cut it all short. I need a new do. With bangs please." It is so late. It is like 4:30 in the morning. But I have not even been to sleep yet. My mom thought I would sleep in the car, but I was too excited. Time for a breathing treatment before bed. Good morning. "This is beautiful." The view from my room on the 12th floor. "Mom, look a theater over there." I love this view. LOL! Breakfast just like at home. Mott's apple juice and chocolate chip cookies. I am just a little bummed. They do not have the Disney Channel at this hotel. My mom said it is because the Springhill Suites is more of a business hotel. Well my dad is a business man and he watches the Disney Channel. My Grandpa too. It is a warm sunny day. So we went outside. This is our hotel. Some man stopped and told me I was as beautiful as the sunshine. I think that is because I am wearing yellow. Look who is here! It's Jessica. She is going to take me for a walk while my mom and brother load all the stuff into the exhibit hall. Oh no. This is going to be a lot of work. Nope not really. It went together really quick. I had to stop for a minute and think of my friend Kriston. She can't be here because she is in heaven, but I know she is watching out for me. We even had a name tag made for her mom Polly, because she is always encouraging us. Matt and Jessie went out and got us lunch. I had a burger from Steak and Shake and my mom had her favorite from Noodles & Co.
My mom told me I have to drink lots of water so I do not get dehydrated. We found another window. With more views of downtown Indianapolis. And I am at my table. The show is about to start. That means I better get sewing. Yep, here come the people. There are a lot of guys here who want to talk to me. They keep coming back to my table. Look behind me. Matt is ironing pillowcases and some man just took his picture because he never saw a guy ironing before. Are you kidding me? Just me and my mom sewing. We are happy. There are a lot of faces here like mine. They are watching me sew. Can you believe this. My silly brother did not want to carry this box because it is heavy so he rode in my chair. I met a new friend today. She makes glass jewelry. We decided we have the same face. So we are hanging out together. We went over to learn this new exercise program. It was pretty fun. But man. Now I can't breathe. Back to signing autographs I go. That's a wrap on day one in Indy. I really like it here. Good morning. It is day two. How do you like my name tag? I got right to sewing as soon as we arrived. I have alot to do today. I am even making a pillowcase. Oh this is so cool. Meet Jake. He has a girlfriend back home. That's her picture on his cellphone. He bought one of my pillowcases to take back to her as a gift. He said she will love the colors. How fun is that! Sewing is such hard work. It is time for my snack. I love spreading the cheese on these crackers. Yum! That is pretty good. I love Mott's Apple Juice. I could be a commercial for them. Back to work I go. Oh I am meeting lots of fun people. This is Karina Aguon and Angie Hook. I made a quilt for Angie's daughter Evan when she come home to be with her forever family. They live in Tennessee. Now this was really exciting. I spotted Hannah Wackernagle. She lives near Columbus. But she is a star. A Big Time Hollywood Star. She wanted to go to prom with James Maslow. But he was filming Dancing with the Stars, so he could not leave. So he flew Hannah and her mom and sister out to California and she got to dance with him. OMG!!! Here we are. Hollywood Hannah and me. And here are our moms together. Joyce and Hollie. I took this picture. After a little while I went for a stroll. This is a table across from mine. It is about a book called: 47 Strings. It is about Tessa. She has Down syndrome like me. They had bracelets and she gave me one. 47 Strings. Check it out at your nearest bookstore. Matt and Jessica came to watch the booth so my mom and I could go eat lunch. First we walked over this bridge. Downtown Indianapolis is really awesome. Then we decided to go to Friday's to eat. As soon as we walked in I heard, "Sarah!! There's Sarah!" 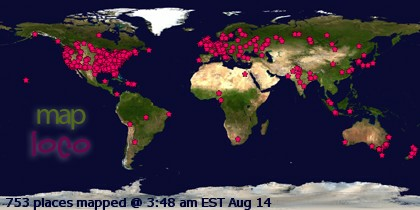 It was a friend from California who has been reading my blog since her little girl was born. She and my mom are Facebook friends too. My mom was so happy to finally meet Denise. And they were with another group of friends. This is Ella. She used to live in an orphanage until her forever family went to get her. She loved me. And I loved her too. We had a good time together. And this is Ella. She is a squirmy wormy. And she is so lovable too!! Do they look like twins? Yes because they are dressed alike. But they aren't really twins. They don't even live with the same family. Denise was showing me pictures on her phone but Ella wanted to go play. It was about time for us to leave. We said see ya later. After lunch my mom took me back to the hotel for a breathing treatment. She was just a little worried about me. Then we went back to the exhibit hall. I walked around with Matt and Jessica for a while. Then I got back to sewing until a new friend came over to see me. This is Tess Fuller. We are the same age. She lives in Indiana. We talked for awhile. Then my mom went over to another table to talk to someone else. And that's when things started going downhill. All of a sudden I could not breath. So the nice lady at the table next to us ran and got my mom. She quickly put me in my chair to take me up to the room. She asked people to please not call 911 even though they wanted to. She started to give me all my medicines. But then I got worse. And then I got scared because I could not breath. But my mom took care of me. And she called my little brother and he came too and helped me. Finally I was breathing better but I was burning up with fever. But my fingers and toes were freezing. After an hour or so, my mom went back down to our booth. Matt and Jessica stayed with me in the room. I wanted to talk to TJ too, so I sent him a ring on facetime. My mom and brother worked really hard to get everything packed up so we could head for home. Bye Indianapolis. I had a great time. Look how cute this ball field is. The Columbus Clippers are in town so Matt and Jessie are going to stay another night to catch a game. Sometimes people ask my mom how she can stay so calm when I am in a breathing crisis. She tells them it is because we have been through it so many times and that she has learned there is often a reason for it. Sometimes we know right away what it is, and sometimes we never know. This time she said it was pretty clear. 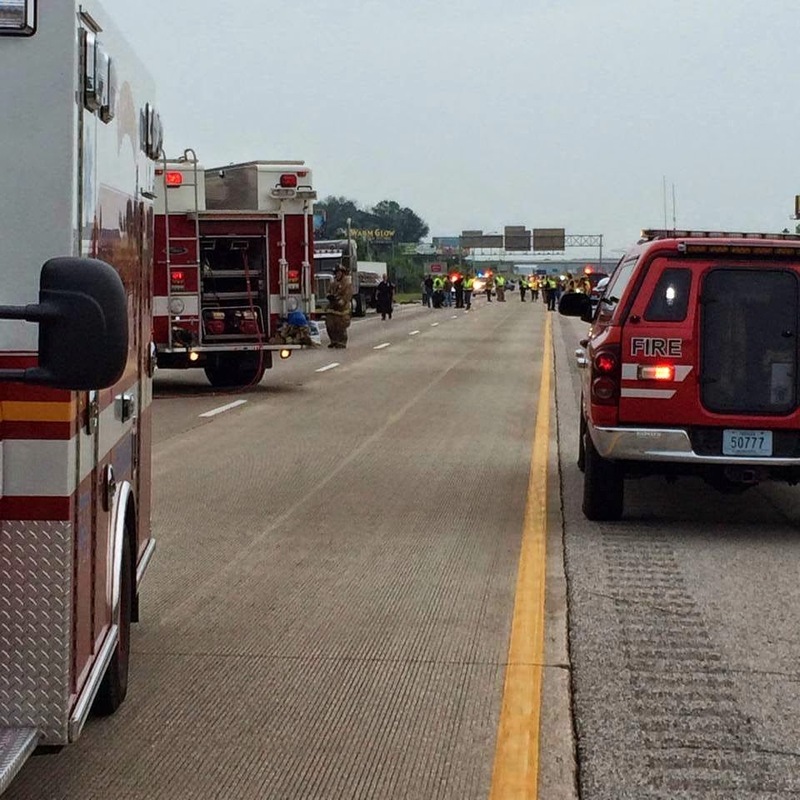 A really bad accident happened on I-70 East in Richmond, Indiana on Sunday near the Ohio border. 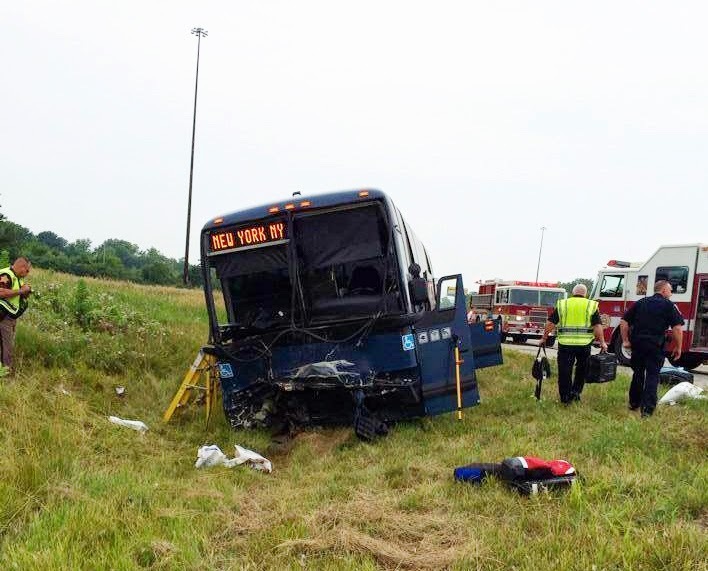 A guy died and several people were hurt on the Greyhound bus that he hit. It closed the freeway for hours just when we would have been traveling on the same road in the same direction. We would have been trapped in the hot car which would have been really scary for me and my breathing. My mom said she felt really bad for the people on the bus, even the guy who died even though he was driving a stolen car, but she was very relieved that we traveled at night when it was peaceful for me. She calls that faith. Believing that God is watching out for us. Missed her birthday post by a day; Happy Birthday Amanda! How Long Will Beau Need a Feeding Tube? Happy Birthday to our new tennager. NDSS, Money, and Healthcare: Who Will #ProtectOurCare? Is intellect a barrier to relationships? No Lazy Summer Days Here! 2015 - well what a year that was! Happy 8th Birthday, Nate the Great! Happy 4th Gotcha anniversary, Dariya! Down Syndrome, Walmart and COPS..OH MY! Kitten Heels - The Trendiest Style Ever! Down Syndrome and the People Who Already Know. More Alike or Just Different? HJR 3...What is it really about? Aladdin… A whole new world. I now have a teenager and a Middle Schooler!!! YIKES! A is for Aidan - thank you Mrs. F! Mama vs School... Is it time?? Yay for World Down Syndrome Day! One Day at a Time..
Life - Not just a cereal anymore! Blessed With More Than Deserved..
Its Hard Not To Be Discouraged. Summer Time...Look At Me Now! Happy 3 month Gotchaversary Ivy!! operationmaxrescue - We are NOT Crazy!